Dean of the College Rakesh Khurana said last week that a preliminary set of recommendations from a University-wide diversity task force has prompted him to attempt to make it easier for undergraduates to cross-register at other Harvard schools. During an interview Friday, Khurana also defended the report against critics who charge that the task force’s work did not specifically address some student and faculty concerns, including the absence of a more robust ethnic studies program at Harvard. He also said the report highlighted a need to focus on improving staff development. 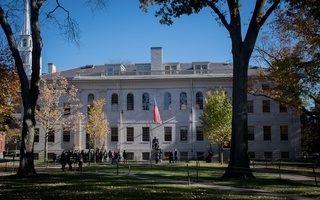 The Presidential Task Force for Inclusion and Belonging released a draft executive summary last month containing a set of “Shared Standards” and recommendations for historically marginalized groups to engage in “full membership in the Harvard community.” The draft is the first document released to the public by the task force, which was convened by University President Drew G. Faust in 2016. 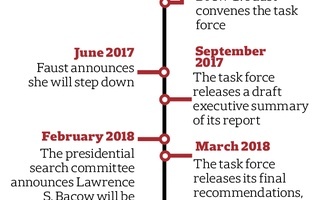 Faust convened the task force after a College-specific group recommended that Harvard take a more University-wide approach to diversity and inclusion efforts. 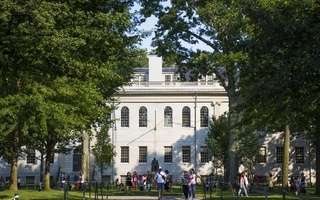 The College working group’s 37-page report recommended a series of wide-ranging reforms focusing on three main areas: increasing training around student life diversity issues, improving the diversity of departmental offerings, and promoting diversity among the faculty and College’s disciplinary bodies. Khurana said that the College worked with the University-wide task force committee in its information gathering stage. “The College did work with the committee in providing data and information and dialogue on sets of concerns, issues, our own experience with doing a belonging and inclusion report as well,” Khurana said, referencing the 2015 report. Khurana also noted some ways the College could take internal action on the draft of proposal. He mentioned cross-registration across Harvard’s 12 schools and “staff development” as actionable items. “I think the area of staff development and making sure people feel they have a lot of development opportunities and programs to get to know more about students but also for personal growth and development,” he said. Some students and faculty, though, have been critical of the University-wide task force’s work so far. In particular, advocates of ethnic studies flagged the lack of language specifically around race and ethnicity in the report and charged that the document’s ambiguity leaves questions about the substance of the proposals. The report's proposals did not explicitly call for a dedicated ethnic studies program or center at the University, which proponents of ethnic studies have requested for decades. In its most recent effort last December, the Ethnic Studies Coalition circulated a petition across the University to create such a center and bolster faculty hiring and renewal across Harvard. Government professor and task force co-chair Danielle S. Allen called the decision to leave explicit mention of ethnic studies out of the report a result of the movement being “College-specific.” Khurana defended the task force’s choice. “My understanding reading the report is that it was really meant as a University-level report and didn’t want to go into school-specific programming,” he said. Khurana fielded similar criticisms from students at the College following the release of a 2015 diversity report. Then, students raised concerns about the absence of courses on gender, ethnic, or cultural studies in the College’s core curriculum, the accountability of administrators, and the inclusion of all minority groups on campus. The task force is currently gathering feedback from groups and administrators across the University to finalize its version of “Shared Standards” and set of recommendations. The final report is scheduled for released at the end of the semester of beginning of next spring. Harvard now has to take on the difficult and nuanced job of addressing all forms of diversity on campus, and not leave any behind.